On Saturday, I went to the opening of Art Shanty Projects on Medicine Lake, just west of Minneapolis. The dozen or more icefishing shacks/sculptural environments included a karaoke hut (which broadcast the strained yodelings on the radio frequency used by the local pirate radio station), a giant pinhole camera, an enormous igloo, a Thomas Hirschorn-esque yurt made of discarded food packaging, etc. A highlight was a robot ice carver made by Jesse Hemminger and Bruce Shapiro. Wired to a PC running CAD software, an ice auger can carve custom shapes in the ice. Pictured is that beginning of a George Washington-shaped hole. Both participants are artists who use robotics in their work (here's Shapiro's robotic Easter egg painter from 1990 and here's some of Hemminger's student work at Ohio State). Due to some power issues—they're carving on a frozen lake, after all—the inaugural run of the carver will take place next Saturday. 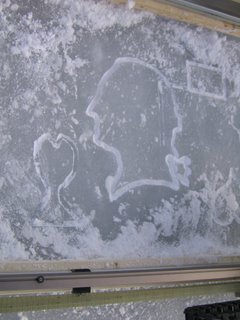 Thanks for checking out the Art Shanty Projects and my ice carving robot. I had some mechanical failures this past weekend so I wasn't able to get anything carved but I have made some repairs and will be back on the ice soon. Check my Art Shanty web page for more pictures and regular updates. 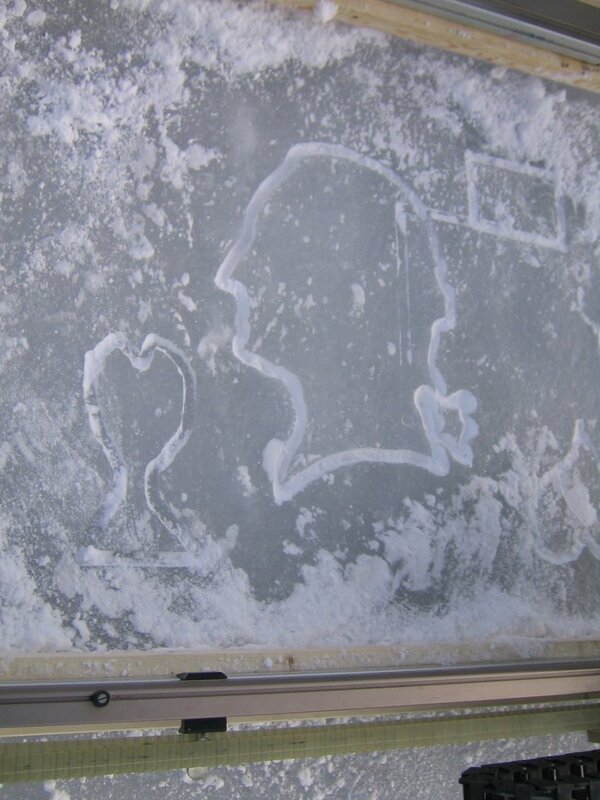 Support the project and get your portrait carved in the ice.